My name is Alexie Mauthe. 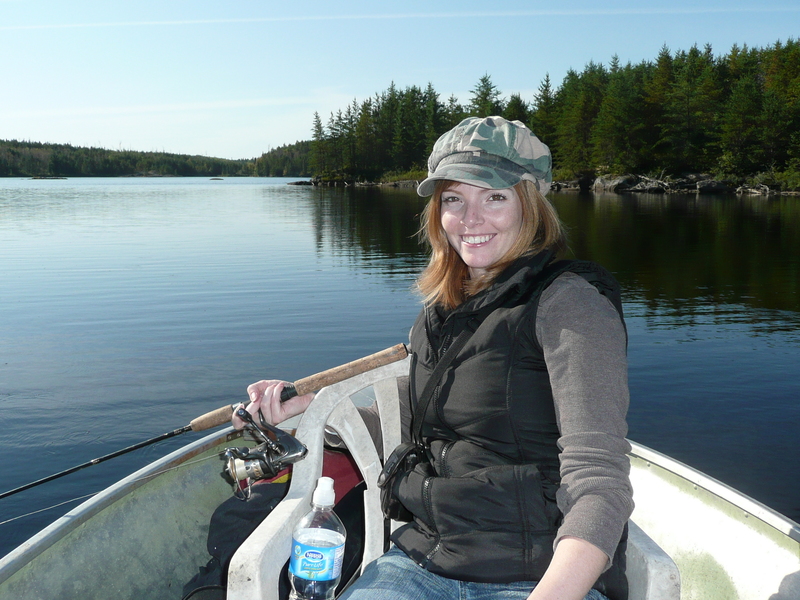 Since the age of five I have been fishing and camping throughout Manitoba and Ontario. I have had the privilege to explore many beautiful lakes, embrace the wild, and interact with nature. Throughout the years I have fished for walleye, northern pike, perch, bass, and muskie. I would like to share some basic knowledge I have acquired through my experiences. This workshop will give participants the basic skills they need to get out and fish. Information will introduce a fishing rod; functions, how to assemble and different parts. We will explore different types of tackle and bait. We will practice attaching tackle and casting rods. I feel that fishing is an activity that opens up many opportunities to connect with nature. By acquiring these basic fishing skills you can gain access to a wonderful sport, family activity, and delicious food source! I am an Early Childhood Educator II. I have worked with preschoolers and school age children. I am recently back from maternity leave and working in an infant program. My current project is designing and creating a infant/toddler outdoor play space that focusses on nature. My favorite activities to implement with children are science, art, and exploring outside! Some of my coworkers call me the bug lady because I love animals and will pick up any bug! I have brought frogs, snakes, fish, and snails into my programs for the children to observe, care for and learn about! I am very passionate about my job and connecting kids with nature! I also recycle, compost, and grow a large garden at home. I am hoping to start some planting at my centre soon. I would love to get the whole centre composting and I love using recycled materials for art!! This entry was posted in Blog, Events, Summit 2012, Uncategorized, Workshops and tagged Alexie Mauthe, ECEC, Fishing for Beginners, Fishing with children. Bookmark the permalink.